Below you fill find all funeral homes and cemeteries in or near Astoria. Suburbs of Astoria: Tongue Point. 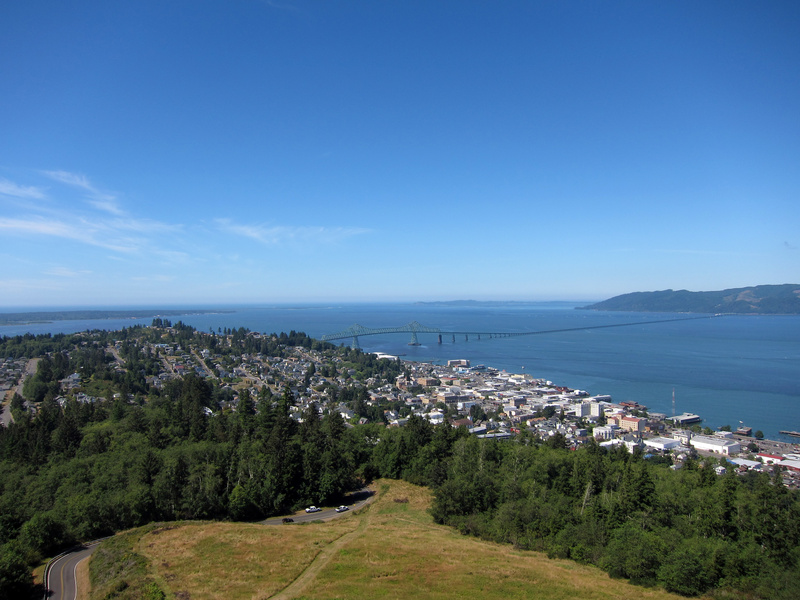 Astoria is also known as: Clatsop County / Astoria city. Their current mayor is Mayor Arline J. LaMear. Zip codes in the city: 97103. Clatsop County funeral flowers can be purchased from one of the local funeral shops we partner with. Astoria has been featured in films like: Free Willy (1993), Kindergarten Cop (1990), The Goonies (1985), and Short Circuit (1986). Some of the notable people born here have been: Jim Sullivan (lawyer), Holly Madison (actor and model), and Brian Bruney (baseball player). Astoria is the seat of Clatsop County, Oregon, United States. Situated near the mouth of the Columbia River, the city was named after the American investor John Jacob Astor. His American Fur Company founded Fort Astoria at the site in 1811. Astoria was incorporated by the Oregon Legislative Assembly on October 20, 1876.Located on the south shore of the Columbia river, the city is served by the deepwater Port of Astoria. Transportation includes the Astoria Regional Airport with U.S. Route 30 and U.S. Route 101 as the main highways, and the 4.2-mile (6.8 km) Astoria–Megler Bridge connecting to neighboring Washington across the river. The population was 9,477 at the 2010 census. It was disclosed by Baker City Herald on March 29th, 2019 that Phyllis Armand Brownlee (Perkins) passed on in Astoria, Oregon. Ms. Brownlee was 93 years old. Send flowers to express your sorrow and honor Phyllis Armand's life. It was disclosed by South West Times Record on January 6th, 2019 that Timothy Clark Booth died in Ft Smith, Arkansas. Booth was 70 years old and was born in Astoria, OR. Send flowers to express your sympathy and honor Timothy Clark's life. It was noted by Sacramento Bee on November 29th, 2018 that Morgan Lynn Heesch perished in Roseville, California. Heesch was 80 years old and was born in Astoria, OR. Send flowers to express your sorrow and honor Morgan Lynn's life. It was reported on October 25th, 2018 that Thomas Montgory "Tom" Scalk perished in Astoria, Oregon. Scalk was 51 years old. Send flowers to express your sympathy and honor Thomas Montgory "Tom"'s life. It was noted by Pacifica Tribune on August 1st, 2018 that Donald "Jack" Hillard passed on in Pacifica, California. Hillard was 85 years old and was born in Astoria, OR. Send flowers to share your condolences and honor Donald "Jack"'s life. It was disclosed by The Daily News on June 9th, 2018 that James William Kelley perished in Seattle, Washington. Kelley was 76 years old and was born in Astoria, OR. Send flowers to express your sympathy and honor James William's life. It was written by The News Tribune on June 3rd, 2018 that Richard "Rick" Campbell passed on in Tacoma, Washington. Campbell was 73 years old and was born in Astoria, OR. Send flowers to share your condolences and honor Richard "Rick"'s life. It was revealed on June 2nd, 2018 that David Lewis Moore passed on in Tucson, Arizona. Moore was 75 years old and was born in Astoria, OR. Send flowers to share your condolences and honor David Lewis's life. It was written on April 20th, 2018 that Teresa Rene Jones passed away in Astoria, Oregon. Jones was 50 years old. Send flowers to express your sorrow and honor Teresa Rene's life. It was reported on February 25th, 2018 that Gary Allen Carlson died in Port Orange, Florida. Carlson was 66 years old and was born in Astoria, OR. Send flowers to share your condolences and honor Gary Allen's life. The column was built by the Astor family in 1926 to commemorate the region's early history. The timber industry likewise declined; Astoria Plywood Mill, the city's largest employer, closed in 1989, and the Burlington Northern and Santa Fe Railway discontinued service in 1996. The Pacific Fur Company failed, however, and the fort and fur trade were sold to the British in 1813. Situated near the mouth of the Columbia River, the city was named after the United States investor (and first millionaire) John Jacob Astor. Since 1998, artistically-inclined fishermen and women from Alaska and the Pacific Northwest have traveled to Astoria for the Fisher Poets Gathering, where poets and singers tell their tales to honor the fishing industry and lifestyle. 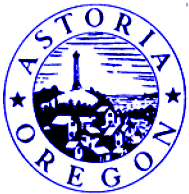 The official website for the city of Astoria is http://www.astoria.or.us/. She was born in New York City on July 20, 1925 to Elsie and Julius Ornstil, who raised her in Astoria, Queens ... Arrangements are with the Stuart-Fortune-Keough Funeral Home. Official distributor of Astoria espresso and cappuccino coffee machines. Offers information on city government, boards, services, and departments. Includes news, events, city code, permits, fees and links. We work with local florists and flower shops to offer same day delivery. You will find budget sympathy flowers in Astoria here. Our funeral flowers are cheap in price but not in value.